I will greatly rejoice in the Lord, my soul will exult in my God; for He has clothed me with the garments of salvation, He has covered me with the robe of righteousness. 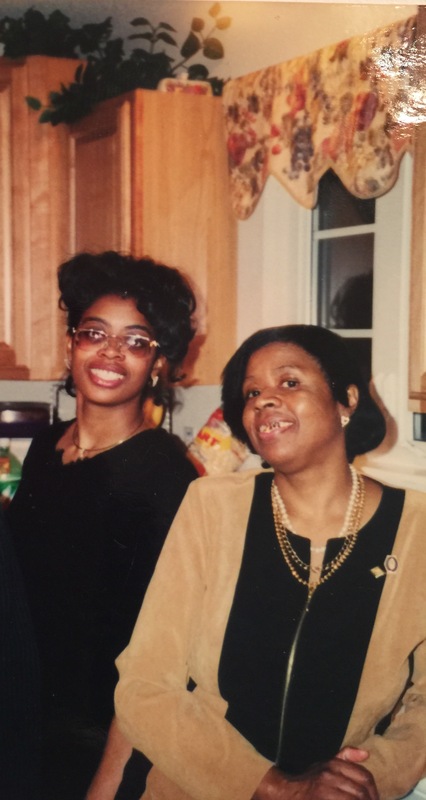 I lost my Beloved Mother, Tangee Sherree Horton on last Monday, February 27th. She past away quietly in her home with a smile on her face…accompanied by the Angels!! When I last saw her in January, we had a lovely visit together. We had spoken on the phone several times since my brother had passed away in February of 2015, but she had a tendency to become reclusive at times, shutting herself away during times of trouble. Anyway…we stood out in the brisk air….where we hugged and we cried. I told her I loved her and that I missed her. I told her that I didn’t want to be separated from her, nor did I want anyone to keep us separated anymore…and she agreed! She warmed my heart when she called me beautiful…I told her it was because when I see my reflection…I see You!! We ate lunch together and shared photos. She got a chance to hear her granddaughter sing (phone video) and she was wowed by Alexandria’s voice. As she listened to Allie’s song, She looked up from the video, smiling and she said, There’s nothing like family!! My mother was a very solemn, private woman…she was never around many people, other than the family that she loved so much, but for many years she was saddened and troubled by the loss of her most precious loved ones. She mourned her Beloved Grandmother, Lollie C.
She mourned her brother, Brantley. And finally, She was left to mourn her only Son, Hubert the III, but today we praise God because there are no more tears for her to shed. She’s not in this box…She’s Free!! Free of the Trouble’s of this ol’ World!! And Our Father God has received her into heaven…where Jesus Has clothed her with the reward of salvation and robed her in His righteousness. And for that I cry…Hallelujah!! Please Remember to Share the CareBibleStudyBlog with Your Meighbors, Family, Friends, Co-Workers, and Loved Ones!! ← Can’t Sleep…Read the Psalms! !